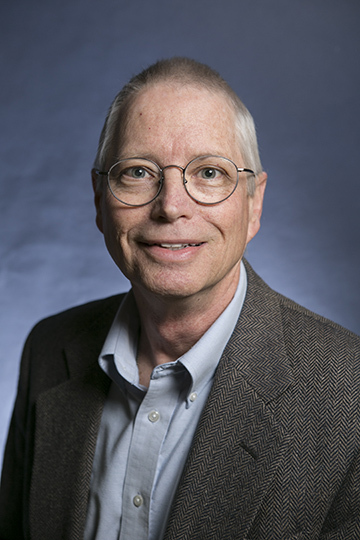 Thomas W. Woolley, an award-winning professor of statistics at Samford University for more than two decades, has been named senior associate provost at Samford. J. Michael Hardin, Samford’s provost, made the appointment April 4. It is effective July 1. Woolley, a professor in Samford’s Brock School of Business since 1993, teaches in the Department of Economics, Finance and Quantitative Analysis. He is a former Alabama Professor of the Year (2000) as selected by the Carnegie Foundation for the Advancement of Teaching, and has won various teaching awards at Samford. Hardin said that among Woolley’s multiple areas of responsibility would be grants and contracts. Woolley is a graduate of Florida State University, where he earned bachelor’s, master’s and doctoral degrees. He received his Ph.D. in 1981. He also has taught at East Tennessee State University and the University of Alabama at Birmingham (UAB). He held a postdoctoral fellowship at the University of Oxford (U.K.) as a Templeton Fellow in Science and Christianity during 2003–05. He was elected a fellow of the Royal Statistical Society in 1999. Woolley is a founding member and senior fellow of Samford’s Center for Science and Religion. He was a Connecting Across the University Faculty Fellow in Samford’s Orlean Bullard Beeson School of Education in 2011–12. He has won Samford’s Buchanan Award for Excellence in Teaching (2001) and its Jennings Marshall Award for Faculty Service (2016). He also won the President’s Excellence in Teaching Award at UAB (1992). Woolley is the author of dozens of published peer-reviewed journal/proceedings papers and book chapters.